The death occurred, in Galway University Hospital, surrounded by his loving family, on Thursday, April 11 of Thomas (TP) Keenan, London / Edenmore, Ballinamuck, Longford. TP will be forever missed by his sons Tommy and Liam, daughters Breeda, Vonnie and Trish, their mother Marie, grandchildren, brother Sonny, sisters Anna, Philomena, Frances and Bridie, nephews, nieces, neighbours and his many friends. In life we loved you dearly, In death we love you still, In our hearts you hold a place, That no one could ever fill. Rest In Peace TP. Reposing in Connell's Funeral Home, Church Street, Longford, N39 KN66 on Saturday, April 13 from 4pm concluding with prayers 7pm. Funeral Mass for TP on Sunday, April 14 at 1pm in St Patrick's Church, Ballinamuck, Co Longford, followed by burial in New Cemetery. Family flowers only please, donations if desired to Palliative Care Galway, a donation box will be in the Funeral Home and the Church. 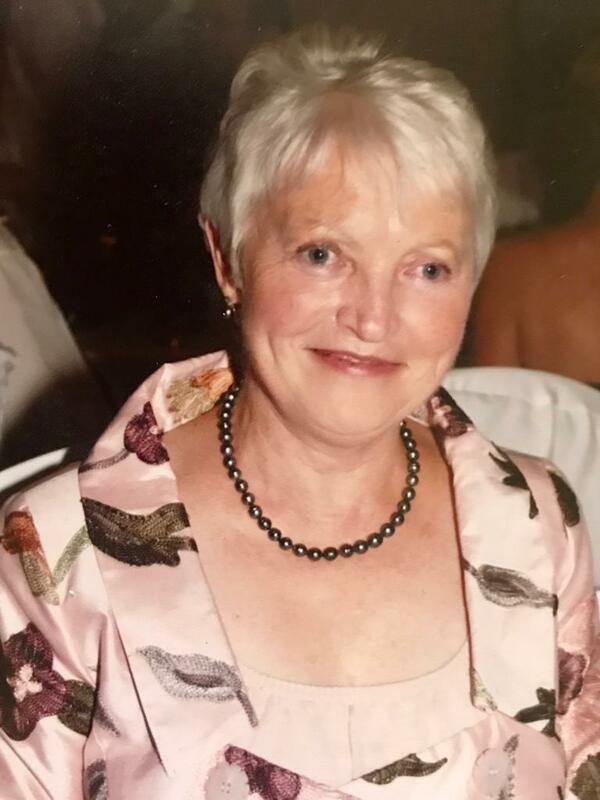 The death occurred, peacefully, at her home, surrounded by her loving family, on Friday, April 12 of Freda Keane (née Morahan), Farnbeg, Strokestown, Roscommon and formerly of Gortnasillagh, Tulsk, Castlerea. Predeceased by her husband Vincent. She will be sadly missed by her heartbroken daughters Bernardine Griffith (Castlerea) and Dolores Beirne (Strokestown), sons-in-law Matt and PJ, grandchildren Eleanor, Vincent, Laura, John, Michael and Caroline, sister-in-law Maeve (Dublin), nephew Jim (UK), relatives, neighbours and friends. Reposing at her home in Farnbeg on Sunday April 14 from 4pm until 8pm. House strictly private at all other times please. Removal on Monday, April 15 to St Paul's Church, Kilmurry, to arrive for funeral Mass at 11am. Burial afterwards in Rathmoyle Cemetery. May her gentle soul rest in peace. The death occurred, peacefully, in the dedicated care of the staff at Beaumont Hospital Dublin, surrounded by her loving family, on Friday, April 12 of Marian Potter (nee Tobin), Ranaghan, Castlepollard, Co Westmeath and formerly of Corran, Leap, Co Cork and Graigueawoneen, Clontuskert, Ballinasloe, Co Galway. Sadly missed by her husband Joe, son Eamonn, daughters Niamh, Orlaith, and Cliodhna, sisters Laura and Joan, brother Stephen, grandson Diarmuid, Eamonn's fiancée Gemma, Niamh's partner Charles, brothers-in-law, sisters-in-law, uncle, aunt, nieces, nephews, work colleagues, relatives, neighbours and friends. May Marian Rest in peace. Reposing at her home eircode (N91P032) on Sunday, April 14 from 3pm to 8pm. Funeral Mass on Monday, April 15 in St Mary's Church, Collinstown at 12 noon. Burial afterwards in St Mary's Cemetery, Collinstown. House private on Monday morning please. Family flowers only, donations, if desired, to Irish Cancer Society. The death occurred, peacefully, in hospital after a short illness, on Monday, April 8 of Andrew Gaffney, Birmingham, England & formerly of Bracklyn, Westmeath. Sadly missed by his loving sons David, Stephen, Mark, extended family, relatives and friends. Rest In Peace. Reposing at Oliver Reilly Funeral Directors, Leinster Street, Maynooth, Co Kildare on Tuesday, April 16 from 4pm with removal at 4.45pm to The Church of the Assumption, Castletown, Delvin, County Westmeath, arriving at 6.30pm. Funeral Mass will take place on Wednesday morning, April 17 at 11am, followed by burial afterwards in Delvin Cemetery, Collinstown Road. The death occurred, unexpectedly, but peacefully, after a short illness in the wonderful care of the matron and staff at St Camillus' Nursing Centre, Killucan, surrounded by his devoted family, on Friday, April 12 of Adrian (Budge) Ennis, Honey Cottage, Fairfield Parteen, Kilkee, Co Clare and Killucan, Co Westmeath and London. Predeceased by his much loved parents Brendan and Kathleen, brothers Michael & Niall. Sadly missed by his loving wife Deirdre, his children Rosemary, Donal & Adrian, their mother Helena, step son Bobby, his adored grandchildren Shay, Róise and Ailbhe, daughters in law Edel & Ellie, son in law John, brothers, Joe, Brendan and Thomas (USA), sisters Mary, Joan (Carey), Emer (Fitzpatrick USA), Anita, and Geraldine (O’Donnell), brothers in law, sisters in law, aunt Mairead, nieces, nephews, cousins, relatives, neighbours and a large circle of good friends. May Adrian (Budge) Rest in Peace. Reposing in St Camillus Nursing Centre Chapel, Killucan on Sunday evening, April 14 from 2.30pm followed by Mass at 6pm. Funeral Mass on Monday, April 15 in St Joseph’s Church, Rathwire, at 11am and then onwards to Lakelands Crematorium, Cavan for approximately 2.30pm. No flowers, please. Donations, if desired, to St Camillus Nursing Centre. 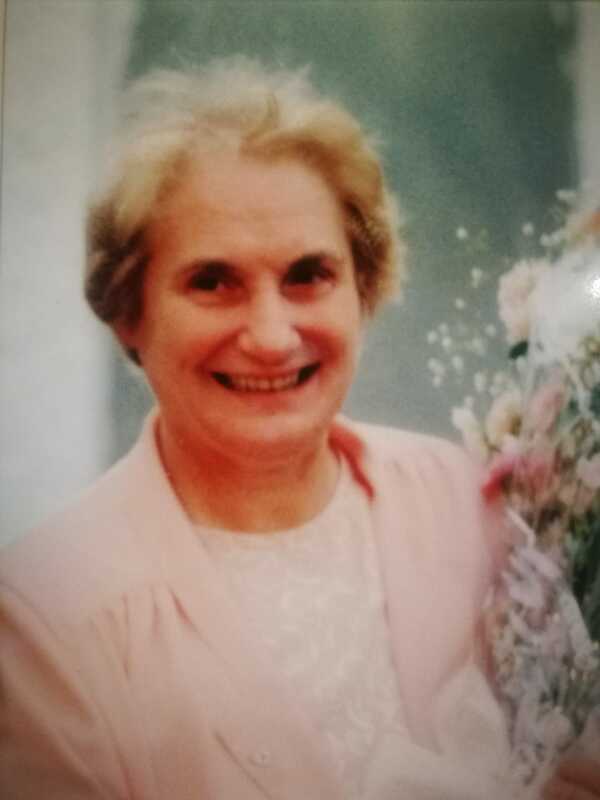 The death occurred on Wednesday, April 10 of June Tierney (née Brady), 53 Ard Aoibhinn, Athenry, Galway / Clare / Dublin / Limerick / Lanesboro, Longford. Predeceased by her brothers Kevin and Jim. Sadly missed by her loving family, husband Cahir, daughters Jane, Patricia, Keelin and Orlaith, sons in-law Peter, Aron and Enda, grandchildren, brother Aidan, sisters Maureen, Patricia and Ursula, brothers in-law, sister in-law, nieces, nephews, relatives, neighbours and friends. Removal on Saturday, April 13 to the Church of The Assumption, Athenry for Funeral Mass at 12 noon. Burial afterwards in the New Cemetery, Athenry. Family flowers only by request. Donations, if desired, to Galway Hospice. House private Saturday morning. Rest in Peace. The death occurred on Wednesday, April 10 of Noeleen Harkin (nèe Doherty), Breanndrum, Mohill, Co Leitrim. Beloved wife of PJ, adored mother to Kalon and Emily. Daughter of Ben Doherty and the late Beatrice Doherty of Proughlish, Keshcarrigan. Predeceased by her sister Teresa. Sadly missed by her loving husband, children, father, mother-in-law, sisters, brother, sisters-in-law, brothers-in-law, relatives and friends. Removal to St Patrick's Church, Mohill for Funeral Mass at 10am on Saturday, April 13 with burial in adjoining cemetery. Family flowers only please, with donations, if desired to North West Hospice, Sligo.